We were proud to welcome UN and NY City Officials, world leaders and members of state. Remarks from from President of the United Nations General Assembly, H.E. Peter Thomson, Deputy Secretary Amina Mohammad, Under Secretary of Social and Economic Affairs Wu Hongbo, Prime Minister of Fiji Frank Bainimarama and the world's foremost experts in ocean science, policy and advocacy. We were inspired by youth advocates from across the globe during the youth march and rally. 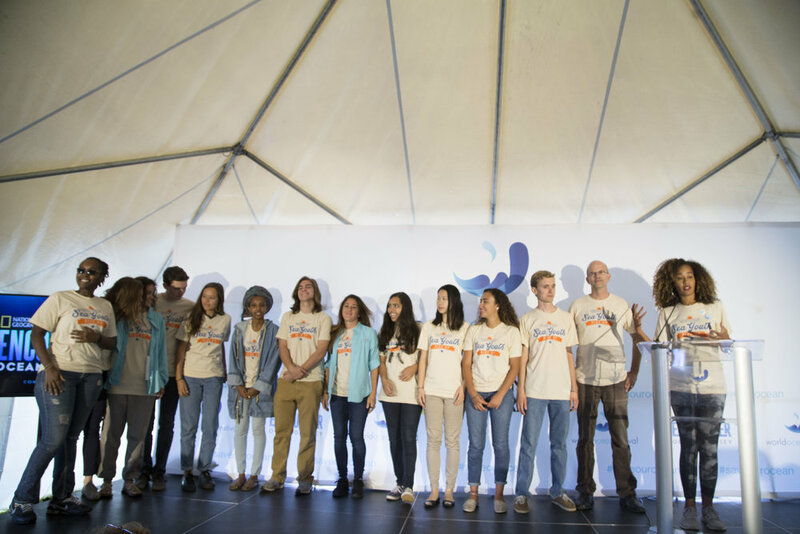 We heard from youth organizations: Sea Youth Rise Up, NYC Junior Ambassadors, Sustainable Oceans Alliance and Heirs to Our Oceans. We honored a group of inspirational individuals leading the way for us to recover a healthy and sustainable ocean through research, education, activism and advocacy during the Inaugural World Ocean Festival Awards: Jeremy Jackson, Ph.D., Coral Reef Ecologist, Melati and Isabel Wijsen - Bye Bye Plastics, Keeper of the sea - Dr. Wallace J. Nichols, Murray Fisher - Billion Oyster Project and Sea Youth Rise Up. We gathered leading ocean experts on coral reefs, plastic pollution, seafood and urban oceans to discuss ocean conservation solutions during the National Geographic Speaker Forum. Our partners and supporters showed off the projects and campaigns they have been working on. Exhibitors included: Mission Blue, Gold Fish from Pluto, Guy Harvey Ocean Foundation, Heir to the Oceans, Lonely Whale, Monterey Bay Aquarium's Seafood Watch Program, National Geographic, NYC Junior Ambassadors, Oceanic Global, The Nature Conservancy, The Ocean Foundation, NGO Committee of Sustainable Development-NY, United Nations Development Programme - UNDP. 'Her deepness,' Sylvia Earle, closed out the festival with an empowering speech. Watch it in its entirety here. The World Ocean Festival could not have happened without our incredible partners and supporters like National Geographic Encounter: Ocean Odyssey and Toyota Mirai. We honor them and their work. Check out this gallery with more. World Ocean Festival is dedicated to raise voices in support of the ocean. 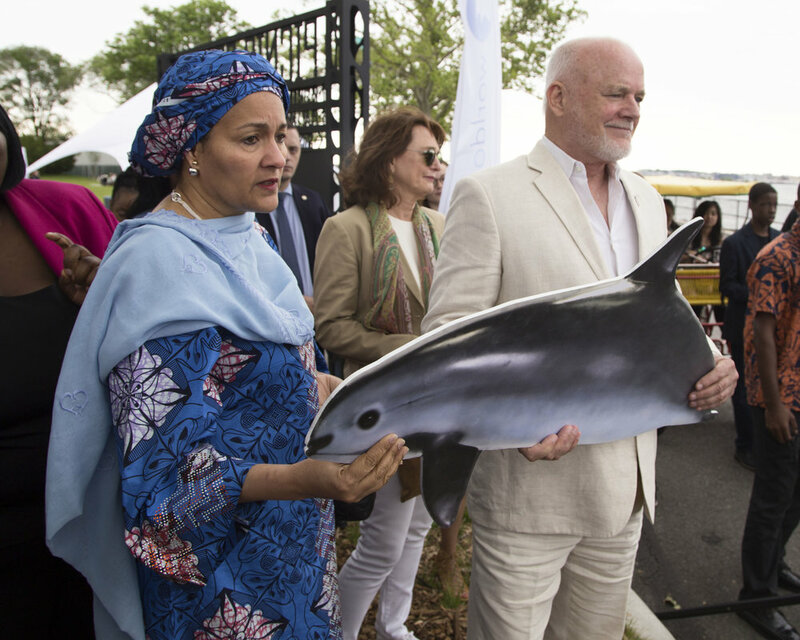 The Inaugural event preceded "The Ocean Conference" at United Nations World Headquarters in NYC to focus on the implementation of Sustainable Development Goal 14.